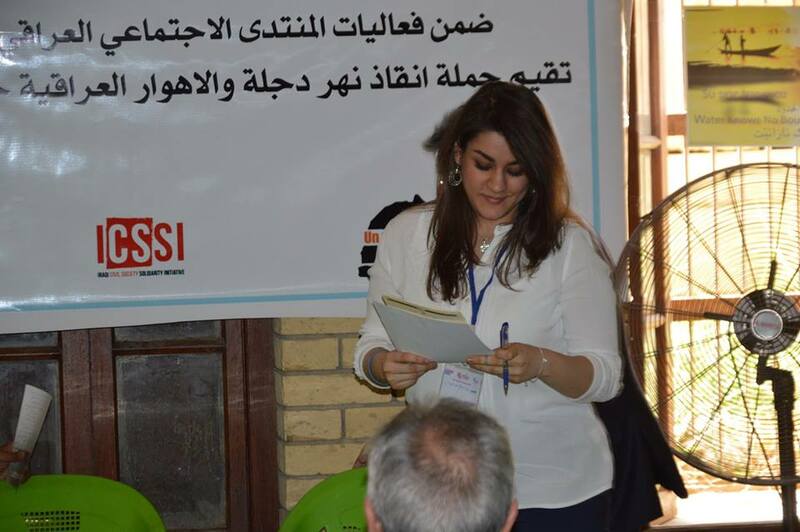 [:en]In difficult circumstances, activists of the Save the Tigris and Iraqi Marshes Campaign succeeded in organizing a workshop at the third season of the Iraqi Social Forum in Baghdad. The forum included three different kinds of open activities which took plae at Abu Nu’as Park, where many Iraqi as well as international visitors attended. Volunteers from Baghdad, Mosul, Nasiriya and Misan organized an event on the inscription of the Iraqi Marshes in the UNESCO World Heritage list. Several experts spoke on the followup that needs to be done in order to preserve the Marshes. The team of Humat Dijla, part of the campaign, organized an open booth for visitors, where people could have their picture taken dressed in traditional clothing from Southern Iraq, while in the background a large screen with paintings of Iraqi governorates. It included a painting of the Iraqi Marshes. The Save the Tigris and Iraqi Marshes Campaign released a statement following the 3rd session of the Iraqi Social Forum in Baghdad. Read it here. Watch the video of the statement here.